At times, you get bored with the same monotonous routine. It surely becomes a hectic when you have to do everything yourself. 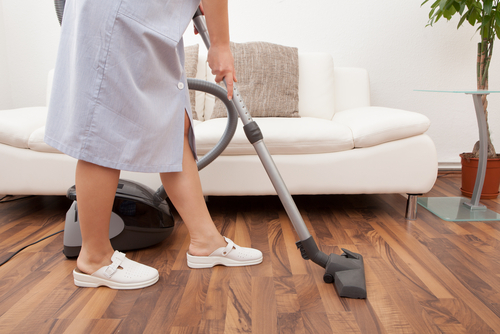 From office till you reach home , you are loaded with lots of tiring, but unavoidable chores. Have you ever thought to have someone in your house who can actually try to ease out the problem. 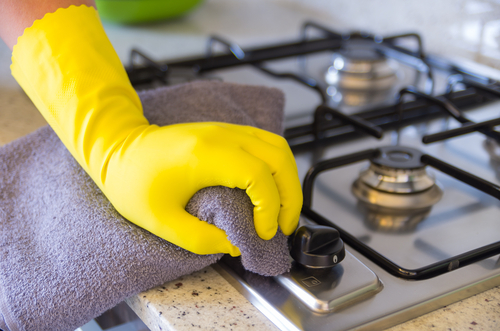 It would be a better idea to get additional help from someone who would expertly deal with your household tasks. The idea to get an assistance from a maid should definitely prove helpful in every case. Really be thankful to a maid for his or her undivided attention and care paid to you. Somewhere you should belief from heart that the maid do honestly give their best to transform your house to a home. Check out some pointers which will give you an idea about how they do help you to take care of your dream home. After a tiring day, naturally you would love to recline on the lounge with an expectation that someone would ask for a tea. Obviously a dedicated maid who really does care of your tiredness would effort to relieve you . Definitely such a great hospitality from your maid somewhere gives you a contented feeling from heart. Not that at the same time, he or she takes the charge of the entire kitchen to serve you the most - liked item of yours. Thus, give their heart and soul to prepare a delicious dish. It is not possible to count their effort , but a token of appreciation could make their day. As you know that cleanliness is every thing. It is impossible rather intractable to take care of the entire house especially when it is about cleaning. But a dedicated support would help you in the process. And can actually give a tidy look to your home. 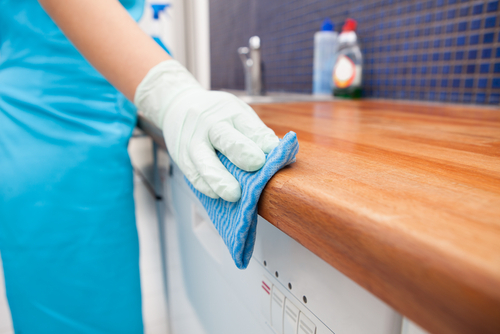 It might happen that you missed out anything from your cleaning to-do- list. But your maid efforts everything from running a broom to scrubbing your bathroom, dusting furniture to washing clothes. Everything are done with great care and expertise. Over all, the maid always try hard so that at the end of the day you wear a big smile and applaud their endeavor. Too many works load you with big projects and assignments. On the top of that, you have to be quite diligence towards the household chores. Altogether you seem to get confused and feel like running away. In the midst of such a situation, when a friendly voice lends the helping hand to assure you, surely you would feel like blessed. It is none other than your maid who stands by you in the hour of need. Always ready to help you consistently . It is quite happening that now you can spend more time with your friends and family. Most importantly you would be left with more free time to relax and enjoy. The best thing to note is that you can approach them without any hesitation. Your maid only expects an amiable behavior from you. In return the maid gives his or her entire day to look after your house and belongings. Over all, they do perform all the tasks with full care and dedication. Most importantly on behalf of you they do take care of every little details. One more thing to note is that they serve you without showing a mark of tiredness or irritation on their face. Always ready at your disposal. Never retaliates you with a no for an answer. Entrusting the entire house to a complete unknown person is really a matter of concern. Especially for those working outside, it is not possible for them to manage both the things simultaneously. That is why you anxiously search for a reliable maid who would be loyal in every terms. From morning till night, the maid look after the house, take care of the kids. Additionally keep eyes on the possessions. Now, while appointing a maid you approach with a hidden desire that he or she should be truthful. Nothing to say more the maids also do try to be loyal to their employers. When you hire a maid , they do always assure that they won’t make you fool at any cost. It is not just the remuneration which bonds the maid with you, but the work itself. The maid tries to assuage you with their tiring efforts. Definitely a need lies on their part. But it is not the case always because they also do work with passion. From morning eight, till eight in the night they work uninterruptedly with great focus just to hear a word satisfied from their employers. Thus, it is important to say that they do take the entire responsibilities without bothering you much. But on your end, you should also try to comprehend their needs. And try to help them from the heart. It is quite natural that when you are hiring a maid, you fix a particular salary on his or chores. Now sometimes, it happens that the amount you are paying does not meet his or her daily requirements. Still they are serving you unconditionally. And eagerly waits that one day you would be able to fathom his or her problem. Sometimes, it happens that you are in no position to understand that. On the other hand, the maid too reacts too reticently and never asks you anything. In such cases, you can see that they are unable to put their demands. But as an employer try to read their minds. And converse with them to know their little demands. It is difficult to move a bit without them. The maids are an inseparable part of one’s life. Try to be with them. Try to hear their unsaid words. Over all, support them so that they can support you in times of need.